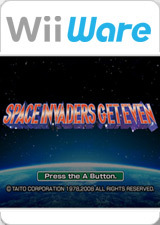 Space Invaders Get Even: the Space Invaders are back, and this time they're out to get even! Take control of a UFO and make those Earthlings pay by unleashing your fleet of heroic invaders against their puny tanks, fighter jets, and artillery--but watch out for the massive boss awaiting you at the end of each stage! Use your invaders' five attack types and the might of the mother ship to rack up high scores. The graph below charts the compatibility with Space Invaders Get Even since Dolphin's 2.0 release, listing revisions only where a compatibility change occurred. This page was last edited on 15 January 2018, at 04:37.